Factually, it goes something like this: Jess Roden was born three short days after Christmas 1947 and brought up in Kidderminster – a town mainly distinguished since the late 18th Century as a central element within Britain’s carpet-manufacturing industry. Kidderminster – essentially – is a small middle-England market town in the Wyre Forest in Worcestershire and not that far to the west of Birmingham. Not, perhaps as distinguished a place for illustrious émigrés as as its near neighbour; Kidderminster nonetheless, boasts James Albert (other wise known as Ukawsaw Gronniosaw) as a resident in the late 1700’s. Albert, being a freed slave as well as an African Prince, it was who, in 1772, published what is widely considered to be the first Black African biography in Britain. Sir Rowland Hill – who invented the famous Penny Black stamp as well as the modern postal system was born in the town as were two World War One Victoria Cross winners (Eustace Jotham – ’15 and John Young – ‘18). Jess’ birthday is shared with other luminaries such as: actress Maggie Smith; actor Denzel Washington; saxophonist Charles Neville of the Neville Brothers; jazz keyboardist Lonnie Liston Smith as well as blues legends Johnny Otis and Edgar Winter; the fiddling Aston Villa fan Nigel Kennedy; the politician Roy Hattersley; Pops Staples of The Staple Singers and, further back in time, Woodrow Wilson, the 26th President of the United States. As early as the 16th century, close-by Birmingham’s proximity to coal and iron-ore saw metal-working industries established. However, it was the advent of the Industrial Revolution in the mid-18th century that saw the city rise to prominence as a major industrial centre. Following the Second World War, the ethnic make-up of Birmingham dramatically changed with a huge influx of immigrants. This massive cultural shift saw the City and its surrounding area becoming a hot-bed for music. And willing ears were opened to early Ska to BlueBeat, from Soul, to Jazz and... R’n’B. Even as late as the end of the 1950’s, the country – as a whole – was still feeling the after effects of the War; while rationing had not long ended, there were still shortages to be endured. Nevertheless, the post-war generation were growing up... and flexing their collective muscle to such an extent that their own (generational) rejection of parental values would be seismic compared to other generation-gaps. Youth Clubs were a key fixture within the urban and semi-urban landscape of post-War Britain; indeed, many were set up simply to keep the ‘youth’ off the streets and to offer them ‘interests’. ‘When I was fourteen, I started going to a couple of the Kidderminster youth clubs. As radios and early television sets were tuned in to see Elvis Presley startle parents and teenagers alike; an unexpected musical revolution was underway. And, it was in cahoots with the emergence of a radical – free-thinking – inteligentsia; the angry young men such as John Osborne whose 1956 play Look Back in Anger transformed English theatre. The generational gap opened, never to close again. In the cities outside of London – such as Liverpool, Birmingham, Manchester and Glasgow – ‘pop’ music was being further shaped by R’n’B imports which spawned a highly competitive band scene as local groups formed to play the newest and hottest tunes from America. 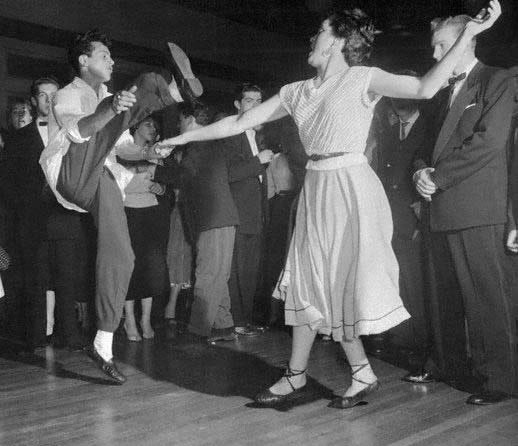 Indeed it has often been stated that American Blues music became famous in Britain before its parent country. "There were also starting to be a few gigs to attend where the new and ever-increasing local beat combos would whip us youthful types into a dancing frenzy. ‘One of the new breed of groups were playing. They were called The Raiders and were seriously good – quite a cut above the rest. 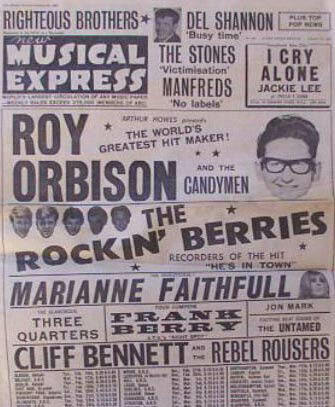 ‘They did have a singer but played mostly instrumentals – Ventures, Duane Eddy, Shadows and more obscure American stuff. ‘The singer did just a couple of songs – I don’t really remember which exactly but it was probably ‘Halfway to Paradise’ – ballads anyway. ‘I don’t know what came over me – perhaps a combination of youthful exuberance, half a pint of cider or, the fact that the drummer, Chris Hayes, lived two doors up from me on Habberley Lane. 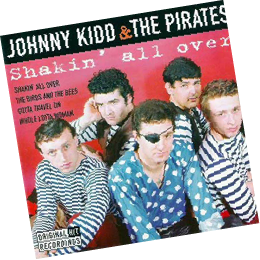 ‘Anyway, during a break, I asked the guitar player if they knew ‘Shakin’ All Over’ by Johnny Kidd and The Pirates – he said ‘yeah’ and I said that I could sing it really well. ‘Next thing I know, I’m up on stage doing it and, of course, loving every second of it. The Raiders’s origins went bawck to the days of skiffle and they were formed during 1962 by Tony Goodman (drums and washboard); Tisser Rollins (vocals) and Dave Beckley (bass). 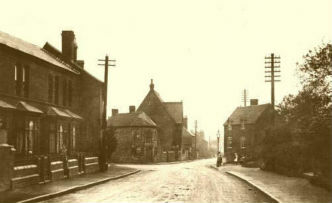 All were from the Clensmore area of Kidderminster – and rehearsals, such as they were, took place in the outhouse of The Royal George, a pub run by Rob Newell’s uncle. Inspired by his older brother’s collection of Eddie Cochran and Gene Vincent records, Rob Newell used to practice on Beckley’s ‘Antoria’ stand-up bass that was left lying about in their make-shift rehearsal room. When Mick Thomas (guitar) and Colin Hepwood (lead guitar) both accepted the call of The Raiders’ shilling, they suggested that Rob should similarly join on bass – paving the way for the three original members to leave as Chris Hayes (drums) also joined up. At one of their earliest shows in this new incarnation, Jess stepped up to sing and, such was the response from the assembled company, that he was immediately recruited. Almost before they knew it, The Raiders had a new singer. ‘I joined the group and started doing the more rocky tunes whilst Keith, the other singer whose surname, I’m ashamed to say, is lost to me now did the ballads. 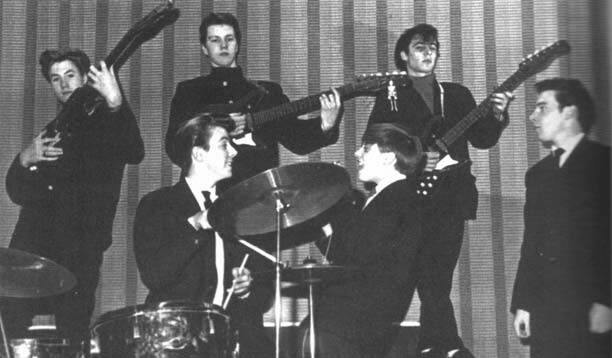 The now five-piece Raiders – sporting the best equipment hire-purchase could afford (including a pristine Fender Precision bass for Rob Newell) played all the local halls and youth clubs as well as frequenting a place known as Frank Freeman’s which became their base as well as rehearsal room. As the band grew in stature – attracting something of a local following, they moved up a notch and began playing support sets at Kidderminster Town Hall. 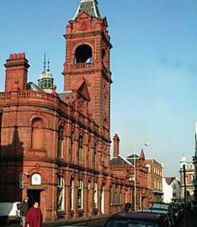 They also ventured further afield to Stourbridge’s own Town Hall venue as support for the ‘Big Beat Sessions’ that attracted many of the big names of the time who were, themselves, out on tour – The Hollies, Tom Jones, The Yardbirds (who, at that point, featured Eric Clapton) and The Small Faces. ‘I don’t think we ever recorded anything – although, Colin Hepwoood, the lead guitarist, did have a tape recorder because I remember being at his house and he recorded me singing some stuff. 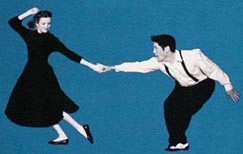 Frank and Win Freeman met at a church hall dance in Leicester in 1940. 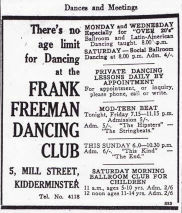 They were married two years later and moved to Kidderminster in 1947 and opened Frank Freeman’s Dance Club in 1948. 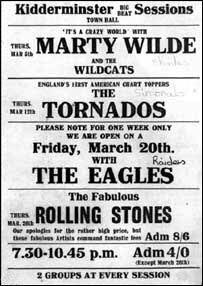 During the 60’s, the club attracted some of music’s biggest names – Fleetwood Mac, Tyrannosaurus Rex and Captain Beefheart along with John Peel and Led Zeppelin’s Robert Plant were regulars. Frank Freeman died in 1991 and his wife in 2008.